Should grandparents correct their grandchildren? Correcting grandchildren can be tricky business. Here’s how and why Honey Good decided to take care of situation with her granddaughter. What course of action should a grandmother take to teach her young adult granddaughter a valuable life lesson? There are two schools of thought on how much emotional involvement grandparents should play in their grandchildren’s personal lives. Some grandmothers feel it is their obligation to speak out when they disapprove of a grandchild’s action. Other grandmothers feel it is their obligation to always come from love and keep the peace at all costs, while letting the parents handle problems that arise. 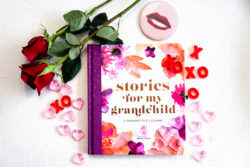 I am a grandmother who teaches her grandchildren valuable lessons stretching across a broad range of topics, but I am not known as a grandmother who dishes out disciplinary actions. Recently, I have somewhat changed my tune because I think it is my obligation to speak up when I feel something needs to be said, rather than fearing the disruption of our relationship. After my heartfelt discussion with my granddaughter, Skylar, I now realize that trying to keep the peace when you know you should speak up will solve nothing. In reality, this will just damage the relationship between the grandmother and her grandchild. My thoughts have been consumed for weeks regarding my relationship with Skylar. I have wanted to reach out to my grand, but could not bring myself to initiate a topic that had negative overtones. It was late last night in our hotel room in London. Shelly was asleep beside me and peace surrounded me. I lie in bed thinking of my last conversation with Skylar, over a month ago. It was so loving and heartfelt. I reached for my laptop, which is like my second husband. This was the perfect time to message Skylar. I would open up and let the chips fall where they may, teaching her a very important, lifelong lesson. The phone rang over a month ago, while I was at home in beautiful Chicago. “Hi Honey, I miss you! I am calling to see how you are,” said Skylar. “I am great. What’s going on at school?” I replied. “I love my classes in the business school, softball is so much fun and I am trying to learn to live in the present, not the future,” said Skylar. “Oh, you are practicing the theory of mindfulness?” I asked. “How do you know that word, mindful, Honey?” questioned Skylar. “Because I studied mindfulness and learned the importance of living in the now,” I explained. “I am trying too, Honey,” responded Skylar. “Me too, Honey. Will you please stay at our house?” Skylar said. “Yes, we will stay at the house,” I answered, happily. The following month, three days prior to our arrival in Arizona, our trip was cancelled unexpectedly. Skylar had to know that I was extremely upset over the situation. I waited more than three weeks for a phone call or text from Skylar. After receiving no call, text or email, I was heartbroken. Finally, last night in bed in London I decided it was time for an intervention from Honey. With laptop in hand, my goal was to teach her the importance of thoughtfulness. I knew all along that being a vocal grandmother when necessary was correct, but I shied away for fear of something happening that would cast a negative cloud on my relationship with my grands. I did not want them to be upset with me. A grandmother does have to know where to draw the line, her wise lessons should be spoken with careful words and in a loving manner. On unimportant issues she should hold her tongue, as I always have. In the future, on important issues, I will express my feelings. After our last exchange, I closed my laptop, gently placing it on the nightstand. I then took my sleeping husband’s hand and put it in mine. As I closed my eyes, I smiled to myself thinking of how happy I was to have had the courage to embrace change, how much I loved this grand of mine and the knowledge of how much she loved me. Thank you for this. My granddaughter is 15 and extremely smart. She is a sophomore in HS and has made straight A’s since she started school. From the time she was born until she was about in the 6th grade we were inseparable. I had to move out of state for a job and sine then I don’t think she cares that I am alive. I am so hurt by this. When we go to visit she stays in her room about 30 minutes before she comes tell me hello if I don’t don’t track her down first. She, like your granddaughter, spends every waking minute studying after school. She wants to be a surgeon and seems focused on that goal. I am proud of her for all the hard work she puts into learning but I am hurt that she doesn’t seem to care one way or other to see me. My daughter is so family oriented and makes so much effort to see her close family as well as extended. Her husband is a recluse and I fear my granddaughter has taken his personality traits. Honey, what can I do? I am so hurt by this. I, also, have a granddaughter in college, she also promised to stop by my house during Thanksgiving break, she was a no show. Needless to say, I was heartbroken but I didn’t say anything. Now I think I will! Thanks! Love this! I have a niece who I love to the moon and back but she is not good at following through. A similar thing happened to me. She was supposed to come over Thanksgiving day, texted with her the day before, and she never showed up, never called, never texted and I still haven’t heard from her. I learned a little tough love, teaching the value of thoughtfulness and honest dialogue goes a very long way. Try it. HNY.